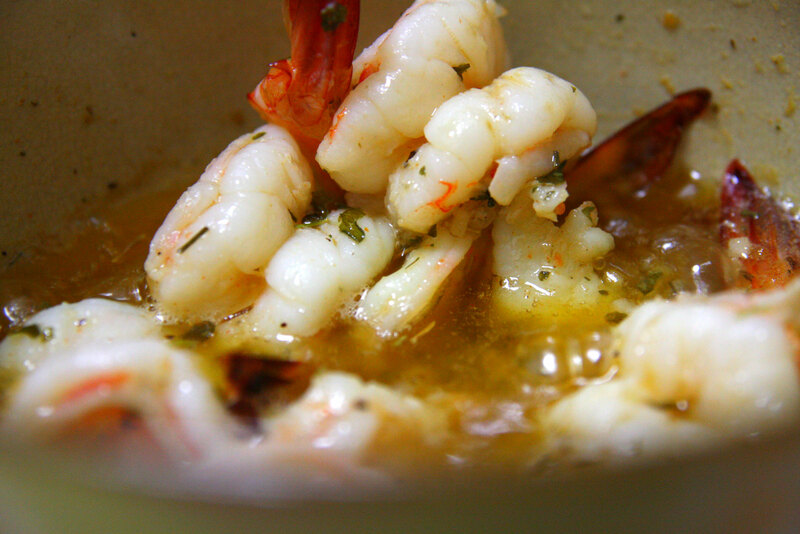 Gambas al ajillo is a popular Spanish dish, typically served as tapas. 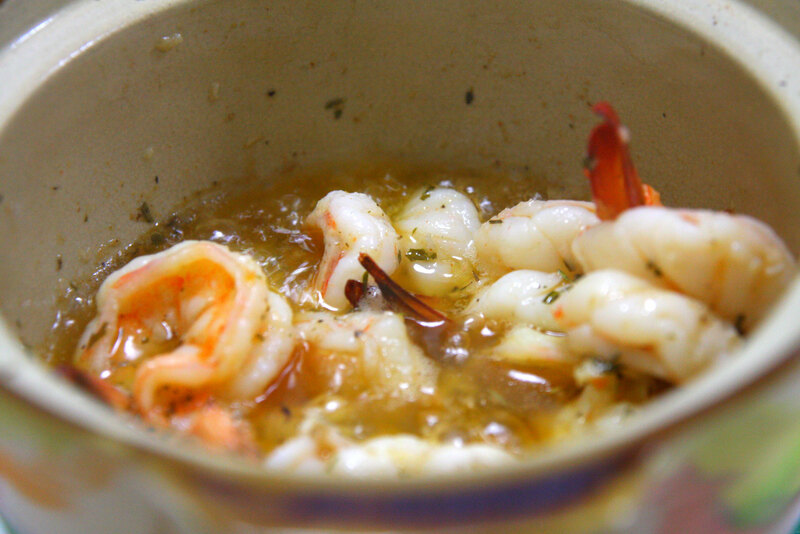 It is extremely simple, the base ingredients being just shrimp, garlic and olive oil. However, surfing through the internet revealed an infinite number of variations on how to cook gambas al ajillo. Each of them differed in the extra herbs and side-ingredients added, as well as the exact method of preparation and the order in which it was done. In the end I just made my own recipe by merging several other recipes and tweaking it. I wasn’t able to take photos of the cooking process since I had to pay a lot of attention to the cooking, which is quite fast. Basically I heated up the olive oil, threw in the chopped garlic and stirred it until it was pale gold. Next I added in the prawns (seasoned with salt & pepper), smoked paprika, pinch of chilli flakes, parsley, thyme and a splash of white wine. Then just stir until prawns are cooked. The prawns were full of garlic flavour and richly delicious! The prawn-infused olive oil was also great for dipping with bread. I made some garlic bread to go along with this dish, which I will blog about next.